11 Things That Happen When Your Sister Gets Married! Oh my god, your sister is getting married?! We’re sure you’re just losing your mind from all the excitement. Now that the date is pakki, you’re about to get into the craziness of wedding planning. 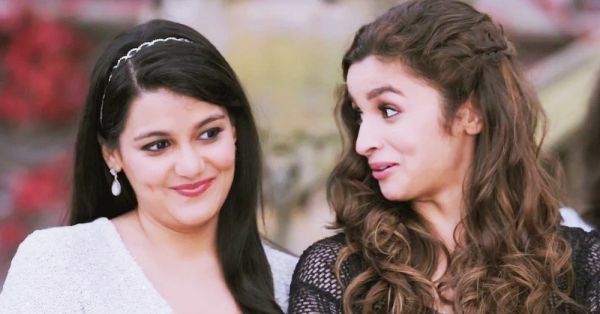 These 11 things are definitely going to happen to you when your sister’s wedding is happening! There is nothing, and we mean nothing, more exciting than the news of your sister’s wedding. Especially when you know that the date is fixed! Trust us, you’ll be hyperventilating through the next few days. 2. Jeeju and saali BFFs! You have a new family member and now you have all the time in the world to get to know him! Let the jeeju saali bonding begin! 3. Shopping, shopping, and more shopping! What to wear for the mehendi? And sangeet? The roka? The shaadi?! So many decisions to make, so many outfits to plan!!! 4. Mehendi ka decor kaisa hona chahiye? You’ll have to sit in all the planning decisions! 5. Sharma ji ke bete ko bhi bulana chahiye kya? Ooohh, the guest list. This is a minefield. Whom to leave out? Whom to invite? Now is the time you ensure that all your friends have an invite to the sangeet and mehendi, for sure. 6. Do these earrings go with that lehenga? And you thought all you have to shop for are outfits! It’s time for decisions because, as sister of the bride, you have to look absolutely the best. 7. Sangeet practice takes top priority! After all, this is your sister’s wedding! You have to put on a great show. First you have to decide the song list, then the choreography, then the practice schedule. Uff, we’re loving it! ...Is what everybody is going to tell you. But you’re too busy having fun to respond. And too busy making sure that the phoolwala has brought just the right flowers! 9. Joote le lo, paise de do! You are going to accept defeat in this game...never! 10. The boys in the baraat are so cute!